The recent electoral success of the Democratic Socialist of America (DSA) has put them in the crosshairs of both the right and the center. House Minority Leader Nancy Pelosi has called their recent gains, including the primary upset one of her key safe house seat bootlickers "not to be viewed as something that stands for anything else.” Meanwhile the group suffered two attacks on it's open meetings and a third attack on a protest on July 27th. 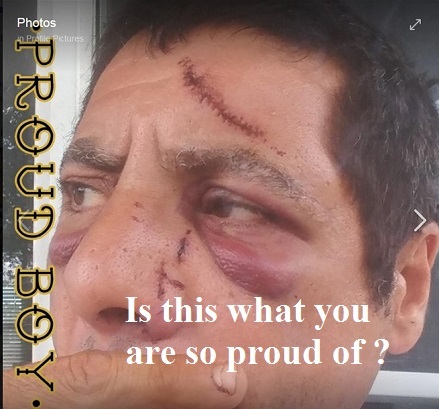 Three different fascist groups, Patriot Front, the Proud Boys, and remnants of the Traditionalist Workers Party seemed to time their attacks without an open call or overt organization. In San Antonio Texas, Patriot Front woke people at an ICE Occupation mostly initiated and staffed by the DSA with boots to the head at dawn. The protestors rallied and it appeared that the outnumbered Patriot Front members were there for a raid rather than battle. The fascists did not stay long. How they managed to sneak up on a heavily monitored event at a government building without police notice or interference and then escape without arrest leads to obvious speculations about police assistance and collusion. In Knoxville Tennessee the DSA was holding an open meeting in a bar when Cole Williams and a bunch of followers that form his faction of Traditionalist Workers Party leftovers attacked. They were locked out of the bar and despite being there to break the place up they had a hug fest with the police According to Williams “The cops were really cool with us.” His online post action statements quickly descended into typical “owned the libs” type Trump babble “You should have seen how triggered these people were, pacing and taking pictures.” Despite no actual casualties being inflicted, the fascists did manage to derail whatever was actually on the agenda for that night and instead made political activity about themselves. Just across the river from Louisville Kentucky at a bar in Southern Indiana things got much more rowdy. A group of Proud Boys entered the bar and disrupted the meeting while ordering drinks and harassing the wait staff. They stayed until nearly an hour after close and had to be locked out to kept from returning. On their way to their cars they were engaged by antifascists activists from a group or groups who have not claimed responsibility. The significance of the three events is two fold. First and foremost it shows that three different fascist groups are able to coordinate three attacks on a single left group in response to it's recent electoral success. Second it shows the Proud Boys, while denying they are white supremacists, even to the point of going to court over the term, are able and willing to coordinate with more openly white supremacist groups to attack the left in open support of the Trump Administration. This is clearly not the last we have heard of these kinds of attacks. The Mockingbird will continue to cover these developments in the American political landscape as they happen.